Ritesh Patel is a Board Certified Physician Assistant. He began his pursuit to practice Medicine at the University of Texas at Austin, where he graduated with University Honors and received a Bachelor of Arts in Biology with a minor in Business. Ritesh then uprooted to Fort Lauderdale, Florida to attend Nova Southeastern University’s PA Program. He obtained two Masters Degrees: Master of Public Health and Master of Medical Sciences, graduating both programs with Honors. 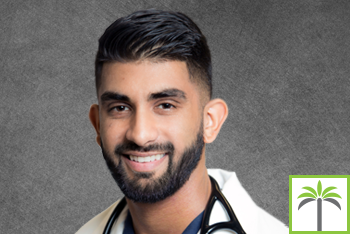 Ritesh remains active in his profession as a member of the Florida Academy of Physician Assistants as well as the American Academy of Physician Assistants. With a background in Public Health, Ritesh tailors his practice of Medicine by taking into account multiple environmental, social, cultural, and physical factors to create the best treatment plans for his patients. In his free time, he enjoys spending time with family and friends, going to the gym, and anything that involves the beach.